Congressional transportation committee leadership is poised to change come January following the results of the midterm elections on Nov. 6, which gave control of the U.S. House of Representatives back to the Democrats while keeping the Senate in Republican hands. 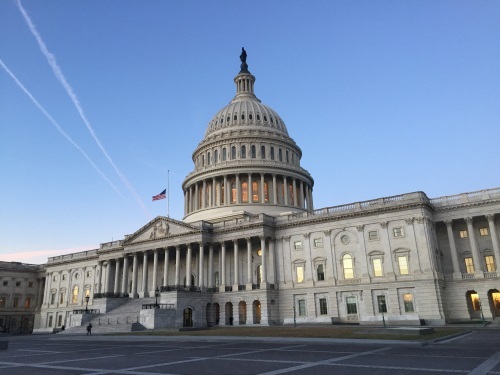 Rep. Peter DeFazio, D-Ore., will become chairman of the House Transportation and Infrastructure Committee, while Rep. Sam Graves, R-Mo., will serve alongside him as the ranking member. Rep. DeFazio noted during a Dec. 5 round table hosted by The Atlantic that he thinks the White House is now open to a “significant increase” in federal funding. And while he said public-private partnerships are a tool that can be used “in some cases,” that there is only a small percentage of projects that lend themselves to be financed that way. Similarly, he believes that an infrastructure bank would also be a “minor tool” that only lends itself well to certain types of projects. Rep. DeFazio thinks it is likely that the country will move to VMT taxes “in the future,” but that the shift doesn’t need to happen yet because most vehicles “still rely on gas and diesel.” He also plans to propose a national miles traveled or VMT fee pilot test in which people can opt-in to participate; similar to a program currently underway in his home state of Oregon. Unanimously elected by his Republican colleagues on Nov. 30, Rep. Graves – also a member of the House Committee on Armed Services – has served on the T&I Committee for his entire 18 years in Congress. He also most recently chaired the House Subcommittee on Highways and Transit, which oversees the development of a national transportation policy and focuses on improving America’s highway system. Other major changes in store for the T&I committee include the loss of Republican members who had been in key leadership position: Vice-Chairman John Duncan, Jr., R-Tenn.; Rail Subcommittee Chairman Jeff Denham, R-Calif.; Aviation Subcommittee Chairman Frank LoBiondo, R-N.J.; and Lou Barletta, R-Pa., chair of the Economic Development and Emergency Management Committee. Both the Republican and Democratic steering committees will most likely set their respective rosters for the committee in early January and announce subcommittee chairs and ranking members toward the end of that month. In the House Ways and Means Committee, current ranking member Rep. Richard Neal, D-Mass., is poised to take charge as the new chairman. On the other side of the aisle, incumbent chairman Kevin Brady, R-Texas, is expected to become the ranking member. Over at the House Energy and Commerce Committee, current ranking member Rep. Frank Pallone, D-N.J., is on track to become the next chairman. As a result, the current chairman – Greg Walden, R-Ore. – is expected to assume the duties of ranking member. Rep. Nita Lowey, D-N.Y., who has served as the ranking member since 2013, is poised to become chair of the House Appropriations Committee – and help make history in the process. For the first time, the House Appropriations Committee will be led by women. Along with Lowey as chair, Rep. Kay Granger, R-Texas, beat several challengers to become the ranking member, succeeding retiring 12-term Rep. Rodney Frelinghuysen, R-N.J. Granger’s new role will alter the minority leadership on key appropriations subcommittees since she was chairwoman of the Defense Appropriations Subcommittee, according to the Arms Control Association. Over in the Senate, as it remains under Republican control, most of the current leadership will remain in place. Sen. Richard Shelby, R-Ala., is expected to stay on as chairman of the Senate Appropriations Committee, with Sen. Patrick Leahy, D-Vt., returning as vice chairman. Sen. John Barrasso, R-Wyo.,who won re-election to a new six-year term, will remain chairman of the Senate Committee on Environment and Public Works and also as chairman of the Republican Conference, the No. 3 leadership position for Senate Republicans. The Senate Committee on Commerce, Science, and Transportation, may need new leadership as its current chairman, Sen. John Thune, R-S.D., was elected majority whip on Nov. 14, becoming the second-ranking Republican in the Senate leadership. The Commerce Committee’s ranking position will also require a new face as current ranking member, Sen. Bill Nelson, D-Fla., lost his bid for re-election. State DOTs Mobilize as Hurricane Michael Hits Southeastern U.S.